Flora is a really easy make, a great elephant softie project for a beginner. The success of your elephant depends upon choosing the right fabric, careful cutting out and stuffing fairly firmly. Flora stands around 9” tall and 11” long from tip of trunk to tail. Also, check the FREE Stuffed Sheep Softie Pattern HERE. Just adorable. Thank you so much! So sweet! This is going to be a lovely toy for my great-granddaughter. Thanks ever so much. Do you have some ‘picture’ instructions on putting this very very cute little elephant? I am kinda new to sewing! Thanks so much for posting it! Hi Sue, thanks for your note. We just link to this project so unfortunately, I don’t have any more info on it. Perhaps you can contact the designer directly? 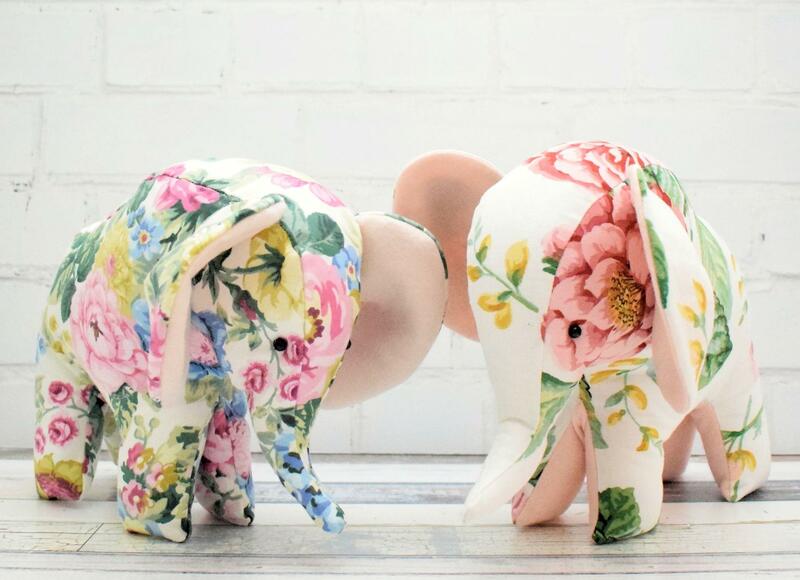 Very cute – I like the floral fabric for little elephant plus cute pattern. Thank you for the free pattern. Adorable elephant! Adorable and doable! What could be better? Thank you! Now, these projects are my absolute faves!